On Bonfire weekend Orrell 1st XV hosted Port Sunlight at Orrell’s alternative home venue of Winstanley College. Port Sunlight won the toss and elected to play against the wind and slope. Orrell took full advantage, pressing the opposition hard from the kick off. They were soon rewarded after just 10 minutes with a try by Jack Granby, playing for the first time as a centre in the Orrell back line. Just five minutes later the score was increased to 12-0 with a bustling Wilbur Harris try, converted by Craig Thomas. Port Sunlight used their heavy forward pack to take the play briefly into the Orrell half via a series of rucks, before Orrell won the ball back. Captain Dan Huxley got in on the action scoring the next two tries through good inter-changes between the Orrell forward and back lines. Thomas converting both to move the score on to 26-0 on the thirty minute mark. Minutes later Granby raced between the Port Sunlight centres to score near the posts, providing an easy kick for Thomas to convert. The Sunlight forwards again tried to retain possession and their pressure told on 39 minutes, when Harris was yellow carded by the ref for foul play in the ruck. Undeterred Orrell wrestled possession from the opposition, and were rewarded with a hat trick try by Granby who ran under the Sunlight posts, a minute into first half injury time. Thomas converted to take Orrell into the break up by 40-0. Playing up the slope in the second half did not deter Orrell, who were rewarded almost immediately by a barn storming run from Jack Johnston to score close to the posts: 47-0. Almost from the re-start slick passing from Ratcliffe at fly half gave Matty Johnson an almost un-opposed run over the line. Thomas tried to convert from close under the Port Sunlight posts, but the ball was charged down and almost caught by a very tall Port Sunlight number 5. From the re-start Thomas made up for the error by scoring himself from wide right, to increase the score to 57-0. Port Sunlight then made ground through a couple of bull dozing runs from their heavy front rowers, and scored to the left of the Orrell posts. The try was converted to make the score 57-7. Orrell responded with some great running and passing, with scores from Matty Johnson popping up on the right wing, and an immediate follow up try by Jack Johnson for his second try of the game. Both were converted by Thomas. On 63 minutes Port Sunlight were rewarded due to a strong passage of play, which forced Orrell onto their try line. The pressure told, and Orrell infringed to give Port Sunlight a penalty try. Orrell responded well, and won the ball back from the opposition on half way. Some slick passing through to Dan Huxley resulted in a great try, which, after the conversion, increased Orrell’s tally to 78-14 after 71 minutes. Credit to Port Sunlight who persevered with their efforts. 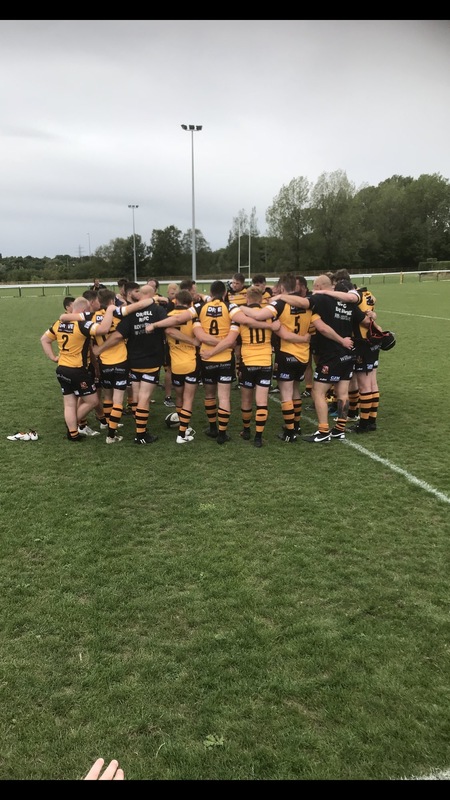 Following an Orrell knock-on, they won the ensuing scrum and through further good ruck play they were rewarded with a late try to finish the game 78-19 in Orrell’s favour. Despite the multi-try scorers, a much deserved man of the match was awarded to Brad Garner, stepping up from the Orrell 2s, for his solid line-out play , and a couple of superb runs and off loads which set up easy tries for his team mates.